Q: Unconditional love is our true nature. How is it possible in this world, where somebody can attack your wife and children? There is a lot of aggression, isn’t it justified to respond and defend yourself? So how can you not respond in a violent way if something like this happens? M: Unconditional love is not passivity. Unconditional love is basically the nature of life. Everything is coming out of unconditional love, everything is dissolving back to unconditional love. But people who do not understand themselves or adopt other desires and characteristics; they express various emotions in daily life. When the Shaolin Buddhist temple was established, the whole warfare of kung fu was taught only for self-defense, not for attacking. 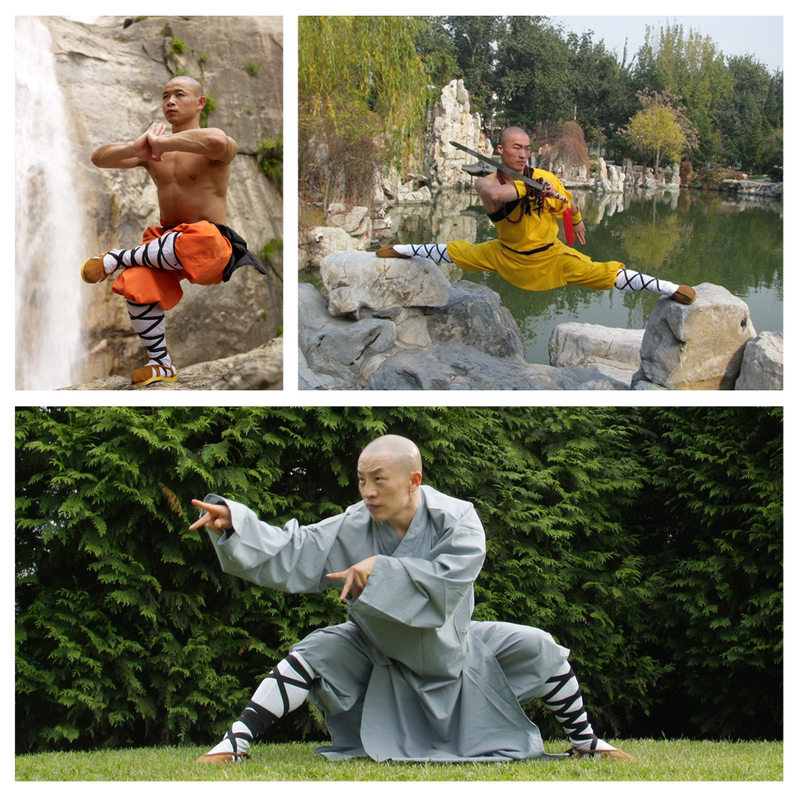 Why do monks established on the spiritual path, learn martial arts? You have to defend yourself. Why do monks established on the spiritual path, learn martial arts? You have to defend yourself. But attacking somebody is violence. Defending yourself cannot be called violence. So definitely unconditional love is our true nature, but that doesn’t mean that you can become a doormat and let everybody walk over you. You know, this non-understanding has affected many people. They became spiritual and became helpless. And when they become helpless, they expect other people to come and help. It doesn’t happen. So, unconditional love is definitely our true nature and we should defend ourselves, but not attack. Another thing – if somebody abuses you, and you don’t respond, they get confused. They will do everything possible to intimidate and provoke you, but if you continue to be uninterested or unresponsive, they will go away. You have every right to express your true nature, which is unconditional love. When Jesus was alive, many people were connected to him. Not only his disciples, there were so many who were not walking or travelling with him yet were deeply connected to his consciousness. Many of them were really committed and really affected when he was crucified. But they were helpless to fight against the masses. Those people lived his teachings of unconditional love but failed to express it when a crisis like crucifixion happened. 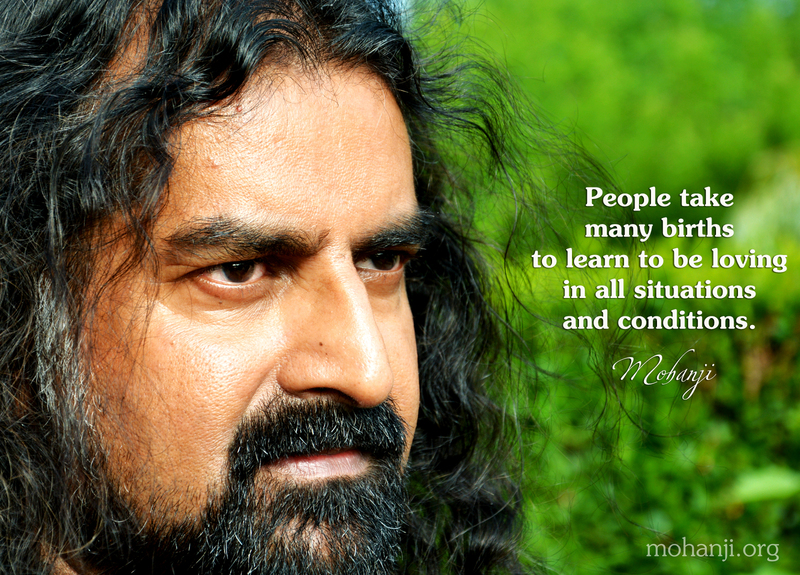 So, those people take many births further, to learn to be loving in all situations and conditions. Because conditional expression blocked them from their interest of becoming one with Jesus. So they took many lifetimes to feel, experience and then again express unconditional love always like Jesus. –“How can somebody do injustice? How dare they?” These questions keep coming back, anger happens and then you slip in the path again. Even today, how much we resist in our own lives? We resist every situation, we want analysis for every action. And analysis takes the fragrance from every experience. It’s very, very important to be one with the experience and float with the experience. 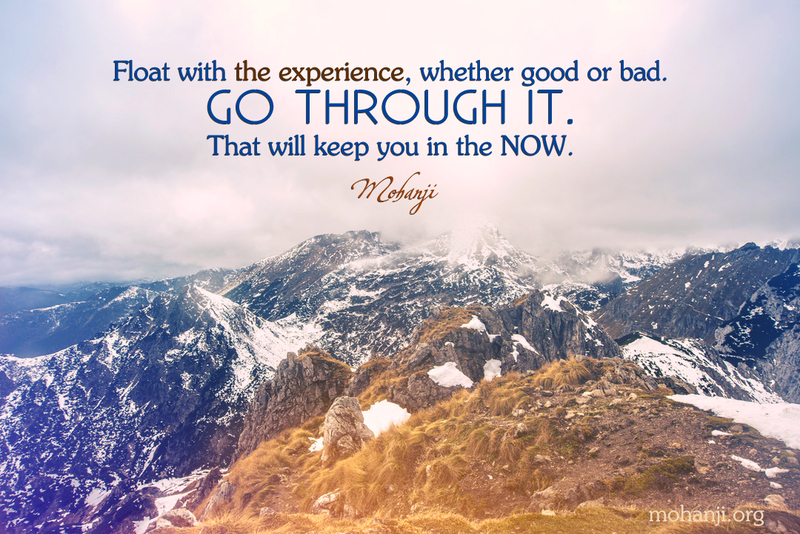 It doesn’t matter whether it is good, bad or whatever; just go through the experience. Because that will keep you in the now, in the present. Have you ever wondered, if we just look at the masters of the past centuries and just understand them, there is no need for any further masters or guides in life. Each one of them expressed completeness, in all aspects. But each one had a flavor and they delivered the truth in their own way, for their people and their period. Q: So masters have to keep on coming? They keep coming, yes. If you take the Bhagavad Gita, which Krishna delivered to Arjun; Arjuna understood that time. Today we need explanation after explanation for every 4 verses, and still we don’t understand. That is our nature, we have diluted ourselves many times over. Krishna is a very potent and flamboyant character who has provoked various expressions in people over generations. Each point of his life is celebrated – as a child, youth, warrior, politician and also saint. He lived every aspect. But I have seen some interpretations where RaasLeela- the union of all people together when Krishna arrives- is interpreted as sexual union. There are even pictures of Krishna with many women together. Actually, Krishna has a very high consciousness, he is an avatar. So, all the entities, the men, women, children, cows or animals, everybody would like to be in his presence and energy, because his energy is so powerful. People didn’t want to leave. When Krishna is there, everybody likes to be with him. Same was with Jesus as well. Wherever Jesus went, people got attracted. Not because of their knowing who he is, but the energy pulled people like a magnet. Similarly, wherever Krishna went, people, animals, birds, everything got attracted to him. So that is why in many poems, people are crying – when will Krishna come back? This is not a sexual union, it is basically the union of energies, i.e. a unit energy is merging with the ocean, the unlimited energy. So, this is the actual idea of RaasLeela, of everybody coming together , dancing and singing when Krishna comes. So the union of energies is like “we”/ our soul, merging with the supreme soul. People even talk about Krishna’s 16008 wives. They take it as a licence- Krishna had so many wives, so I can have many as well. I remember one master used to smoke, so he told his disciple, “It’s ok, you smoke, but you will not become me just by smoking.” By imitating the master, he will not become him. He will only become addicted. Krishna basically killed a particular king who had many prisoners. When Krishna conquered that land, he freed the prisoners: “Go home, you are free now. If you have a problem, come back to me”. So all the prisoners- men, women, children, even those imprisoned for 40-50 years, went back home. W But the religious didn’t receive them, because they were ex-convicts. They didn’t even have food to eat as nobody wanted to welcome them home. So they went back to Krishna and told him: “When we were in the prison, we used to get 3 times food, now we can’t even get 1 time food, but we are free. For what?” Krishna immediately ordered all these women to be given the royal wives’ status. Royal wives means they get some money from the court or the kingdom. When everybody got a house and monthly pension, their status rose in the society and they were accepted. They were all given the status of the royal wives, not that he married everybody. You can’t find such a great administrator ever. You can see the power of all aspects in him- the wisdom, action, speed. When you operate from a high level of clarity, there is no confusion. Confusion always lies in the lower aspects of our existence. For example, when we are operating from the mind level, should we do this or should we not? We always go up and down. It consumes a lot of energy and has a bad effect. And our dependence on external factors for our satisfaction can also change and affect us a lot. This effect isn’t due to our incapability but because we are pulled down by our dependence on other situations, people or objects.